Next stop on our Truffle Inspection Tour 2015 was a visit to the farm owned by Ansius Lategan and family. As Professor Zambonelli had brought with her several of the freshest Black Perigord Truffles from Bologna for our inoculation purposes, we happily packed away a couple of the primest truffles for a truffle tasting with local friends and farmers. 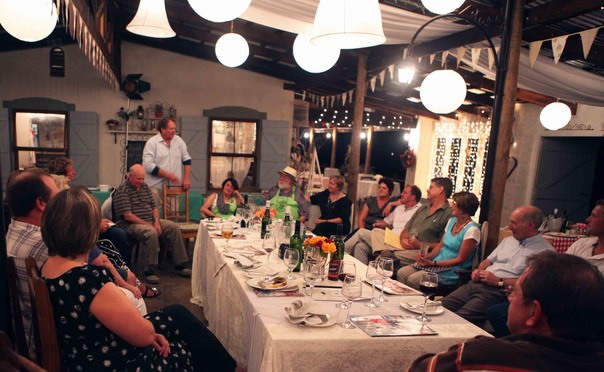 And what better local restaurant than La Rosa Blú Cafê on the Rosenhof Rose-farm to treat the success of their truffle venture? 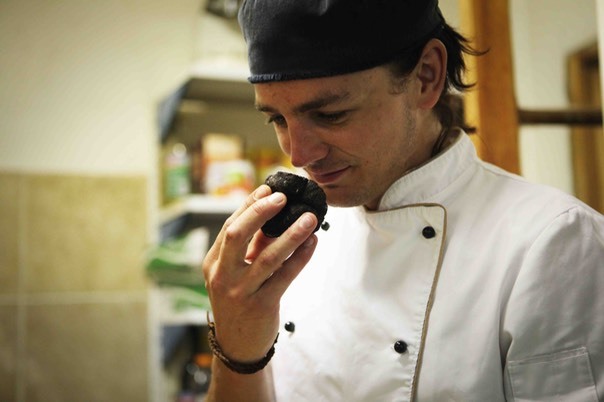 Our truffle tasting menu was skilfully executed and beautifully presented by Chef Peter-John Snyman. We started with Chef Snyman's creamiest of eggs made special with generous shavings of black truffles. 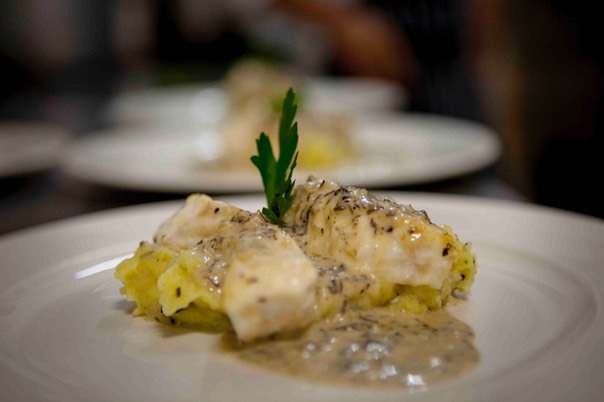 Only the glorious steamed Kabeljou on mash with creamy truffle dressing could have topped that. And it did! Our partners Lategan and de Kock are taking delivery of their first inoculated truffle trees in September. "Truffle tourism is huge and truffle products like truffle butter are extremely popular. Chefs are also keen to use it in their dishes and, although we will concentrate on the export market as our seasons differ from that of Europe, we hope to be able to provide the local market with truffles at affordable prices"